Truck Accident Lawyers - Silver & Silver, P.A. In an accident between 80,000-pound semi and a passenger vehicle, the potential for serious injury to the occupants of the passenger vehicle is extremely high. When these accidents happen as a result of an error by the truck driver or any party associated with the trucking company, injury victims have the right to seek full and fair compensation for their injuries. Trucking companies and the insurance companies that hold their policies will go to great lengths to avoid paying these claims. If you or a loved one has been seriously injured in a truck accident that was not your fault, it is important that you have strong representation from a qualified Florida lawyer with the ability to protect your interests. 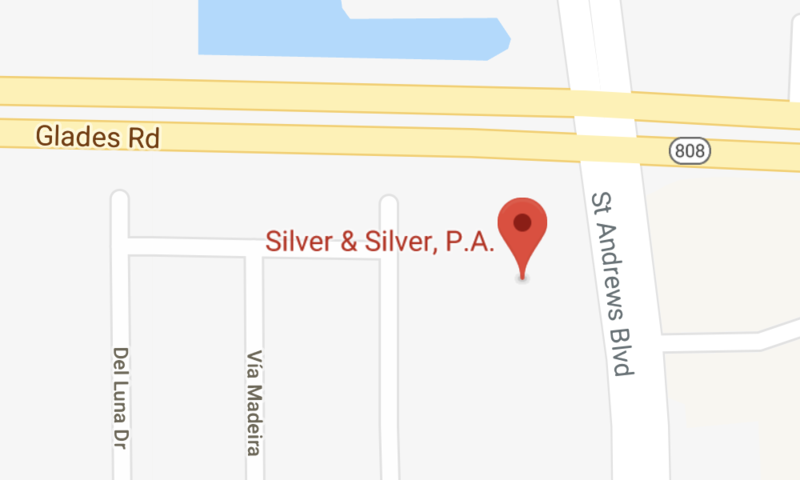 At the law firm of Silver & Silver, P.A., we have been protecting the interests of South Florida injury victims for more than 20 years. We have a complete understanding of injury victims’ rights in these matters, and we know the tactics the insurance company lawyers use in their efforts to avoid responsibility in these matters. We will do everything in our power to secure the full measure of compensation available for your claim. In many truck accident cases, there can be more than one party who may share in the responsibility for your injuries. Depending on the circumstances and the cause of the accident, the truck driver, trucking company, maintenance company, truck manufacturer, the company that loaded the truck and others could all share in the liability for the accident. Our Boca Raton truck accident attorneys will conduct a complete investigation into your case, work to identify all negligent parties and diligently pursue the compensation you deserve. Contact our firm today to discuss your truck accident injury claim. You can reach us by phone at our principal office in Boca Raton by calling 561-235-3219 to schedule a free initial consultation. We are also available for consultations in Boynton Beach and Wellington.